A manifesto appearing to belong to Dylann Roof -- the 21-year-old suspect charged in connection with the deadly church shooting in South Carolina's Charleston Wednesday -- has surfaced online. A site detailing the writer's racist stances, especially toward African-Americans, was created by somebody with Roof's name, and media reports about it were published Saturday morning after Twitter users @HenryKrinkle and @EMQuangel discovered it. "I have no choice. I am not in the position to, alone, go into the ghetto and fight. I chose Charleston because it is most historic city in my state, and at one time had the highest ratio of blacks to Whites in the country. We have no skinheads, no real KKK, no one doing anything but talking on the internet. Well someone has to have the bravery to take it to the real world, and I guess that has to be me." "Black people are racially aware almost from birth, but White people on average dont think about race in their daily lives. And this is our problem. We need to and have to." The manifesto (Warning: Very offensive content) was discovered on the site, and a Whois search indicates it was created in February. A reverse Whois search found that the site was registered to somebody using Roof's name. The ZIP file includes pictures of Roof alone in front of wax slaves, at a plantation and holding weapons, according to media reports. The manifesto's text lays out a disturbing racist ideology of white supremacy and touches on the subjects of segregation and slavery. "Say you were to witness a dog being beat by a man. You are almost surely going to feel very sorry for that dog," the manifesto reads. "But then say you were to witness a dog biting a man. You will most likely not feel the same pity you felt for the dog for the man. Why? Because dogs are lower than men. This same analogy applies to black and White relations. Even today, blacks are subconsciously viewed by White people are lower beings. They are held to a lower standard in general." 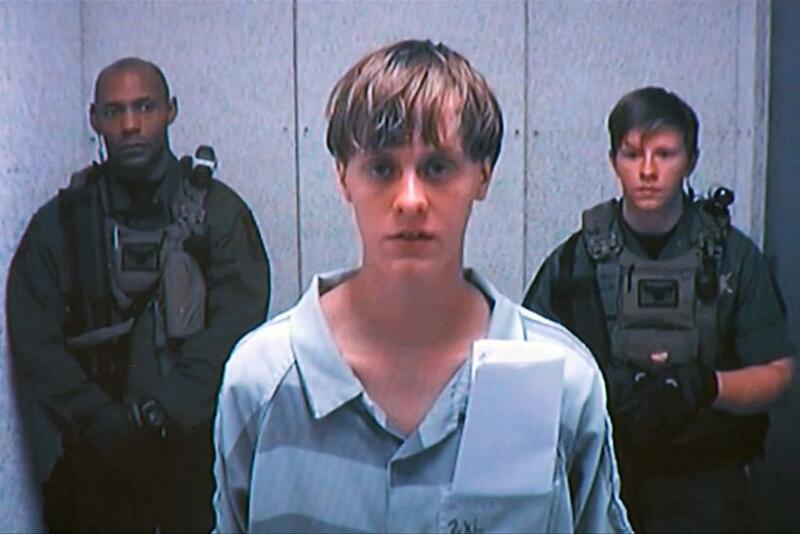 Roof was charged with nine counts of murder Friday in connection with the mass shooting in the historically black Emanuel African Methodist Episcopal Church in Charleston.